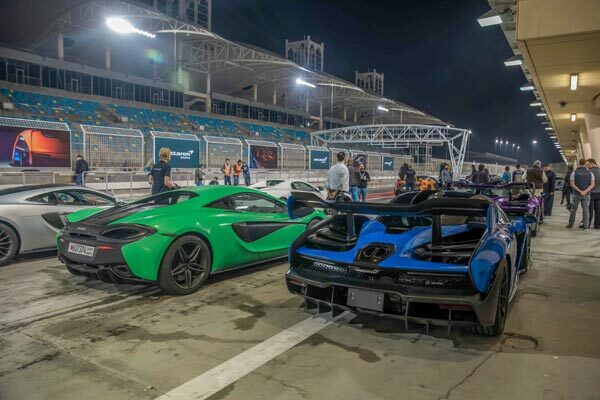 Kanoo Motors, a leading high-end automotive retailer and the official distributor of McLaren in Bahrain, has hosted “A Private Evening with McLaren” - an exclusive track event for McLaren owners and guests at the Bahrain International Circuit (BIC). Building on the success of the most recent track event late 2018, McLaren owners were once again treated to an engaging drive experience on the distinguished international track, this time, a wet circuit. Select interested McLaren brand enthusiasts and guests were also invited and had the chance to test the full capabilities of the McLaren Sports Series and Super Series. Simon Martin, British Ambassador to Bahrain, was present at the event and was treated to a thrilling driving experience on track with one of McLaren’s certified instructors. Also present at the event were Bahrain social media sensation Ahmed Sharif and international automotive enthusiast and celebrity Tim Burton (Shmee150) who got a chance to drive and ride along in various McLaren models on the race track.